← Annoying & Unexpected Injuries. We’re working on a large, multiple-part post series over the next week on Kona – the Ironman World Championship. I was there in 2008 to watch my dad compete — and I’ve never been to an event as magical as it since. I got to meet Ironman legends like Mark Allen, as well as experience Kona for the first time and see my dad finish. It was definitely an inspiration in me wanting to do longer races at a young age! 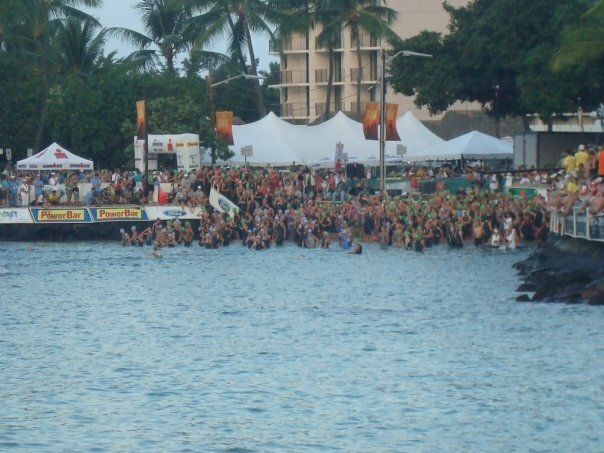 Kona Swim Start in 2008! Have you ever been to Kona? 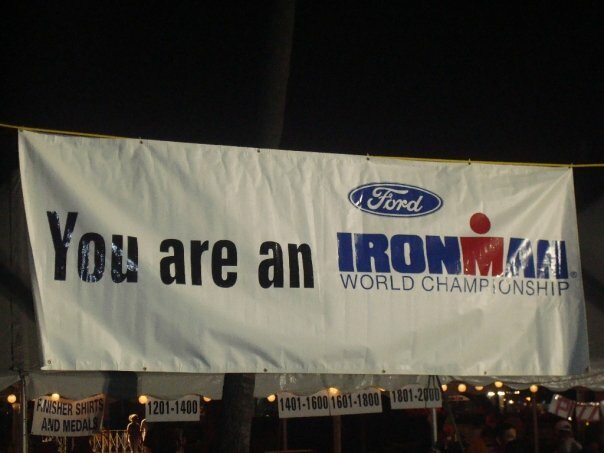 Have dreams about competing in Kona? Want to know more about the World Championship? Let us know what you want to know and see about Kona on YoungTri. We’ll feature your photos/info (and answer your questions)! over the next week. Email info@youngtri.com with your information/questions.